A German company is planning to develop a new product for which it will register an industrial patent and produce in China. The patent exploitation in Andorra is going to generate important revenues from the flow of royalities from various countries such as China, the Netherlands and Germany. Our client was able to use the special tax regime for international exploitation of intellectual property with a resident company based in Andorra. The business was set up within 3 months and the corporate tax savings are above 30% while the top shareholders benefit from the dividend taxation exemption being tax residents in Andorra and working as directors for their own business. An Andorran entity needed to be created and the request for obtaining this special scheme permission has to be submitted to the Ministry of Finance of Andorra, which has a six-month period to give a favorable answer. If the special regime is granted, the validity of the scheme begins retroactively from the time of making your request. The patent was registered under the Andorra entity with the European Patent Office. Our firm having long-standing experience with the management and registration of international patents we processed the registration with the EPO. According to the Andorran Law of Companies, an entity that is exploiting the rights of intellectual property through the flow of royalties / license fees etc. may benefit from a special tax regime which implies a 80% exemption of corporate tax on the total taxable base. Therefore, the nominal rate of 10% becomes an effective rate of 2%. Dividends received from the company are not taxed in Andorra if the shareholder/s is/are tax resident in Andorra. 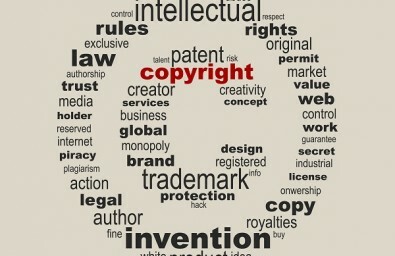 Special conditions are applicable for companies that manage intellectual property, see here. The international trading company in Andorra was incorporated within less than 2 months. The director and main shareholder received his active residency within 2 weeks after the company was registered as actively trading. The withholding taxes on royalties were reduced by focusing on distribution and production between the Netherlands (Rotterdam entry and distributor) and China (production). Contact us and submit an inquiry online.